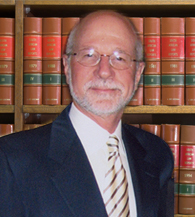 Jonathan D. Light is a head and spinal injury attorney in Boston with over 35 years of experience advocating for victims of negligence. Head injuries—especially those to the brain—can be among the most serious types of injuries. Recovering from a head or brain injury can involve staggering medical expenses, as well as innumerable physical and mental obstacles. Additionally, brain injuries have a high rate of fatality. In fact, the National Center for Injury Prevention and Control reports that nearly a third (30.5 percent) of all injury-related deaths in the United States list traumatic brain injury (TBI) as a contributing factor. Experienced Boston head and spinal injury attorneys like Jonathan D. Light understand just how serious injuries to the back, spine, or spinal cord can be. Those who sustain spine damage face effects ranging from chronic pain and discomfort, to partial loss of feeling or use of extremities, to full paralysis and carrying levels of disability. As one of the top head and spinal injury lawyers in Boston, Jonathan D. Light is well aware of the necessities that victims of negligence require. Many head and spinal injuries lead to years—if not a lifetime—of effects and expenses, such as special needs, medication costs, regular doctor visits, and accessibility equipment. Mr. Light knows that you are entitled to coverage for the needless physical, emotional, and financial tolls, and is well prepared to fight for the compensation you deserve. If you have sustained a head or spinal injury as a result of negligence, or would like more information, the Boston head and spinal injury Law Firm of Jonathan D. Light, P.C. is here for you. Contact a head and spinal injury lawyer or call 617-245-0220 today to schedule your free initial consultation.